The chicken is great. Much better than what I grilled last week. I read a review of this app that said, it works better for Anova than Anova’s app. So I downloaded it and I have no plans to ever use Anova’s app again. We had hopes of using my (fully updated) iPad to start our device and turn it off while we were gone. Sadly, there is no way that we can find—even thought my wife is highly tech savvy—to have the iPad control the device. What a waste! My Samsung 8 App does, but only if I am in blue tooth range. Please make this a functional app, rather than a basic kitchen timer! Can't review because I can't open this app! It is a waste of $3.99. I'm bummed. 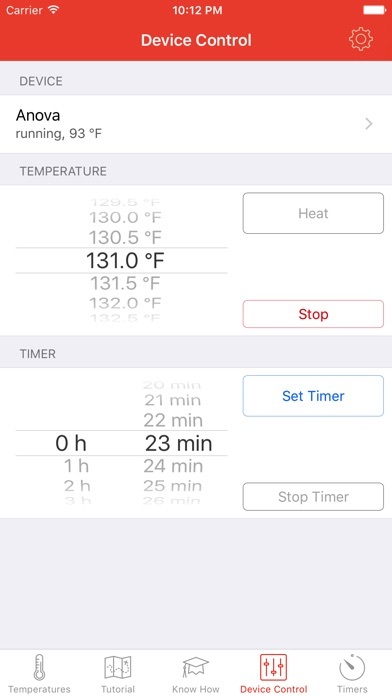 This app connects by Bluetooth to the Anova Precision immersion heater. But I expected a role for user-entered variables in the time/temp calculation. For example, I cooked salmon that was about 50 cm thick, but the only thickness value offered in this app is 25 cm, so the calculation was wrong for my dish. Surely the basic variables should be variable. But it is still cool to control the Anova by Bluetooth. There are a number of good things here, including a tab with all sorts of useful tips. For Christ's sake, where are the T-bone and Porterhouse steaks in Beef section?!! Where's the Pork Chop and Pork Loin in Pork section?!! Thus is the "little app that could be, but isn't at all". Best app currently for Anova precision cooker! Unlike the app. Anova offers this one is dependable and connects faster letting you get to cooking faster and has a larger recipe library for a larger variety of types of food. The nominal fee is just that and reminds me of the saying you get what you pay for, free=unreliable small fee=an app. that actually works, well done and hope to see this app. get future updates with more tips/tricks and even more recipes. Overall great app. As title states above, not only is it clear from using the app that the developers actually have cooked with this app, the app design itself is carefully crafted. I'm using it on an iPad and thanks to the high quality and typeface, it was very legible and did its job even at 2x the resolution. Simple, helpful interface; no need for the gratuitous foodporn photos. Often recommends adding fats and pre-searing when unnecessary, however. Still superior to the Anova iOS software that FINALLY became available. Recommended. This app is perfect. Has all the necessary information very easily accessible and doesn't have all the useless frills that the anova app has. The app also has superior recipes since it suggests presearing and has many more options as to the variety of meat and even how you want it cooked. 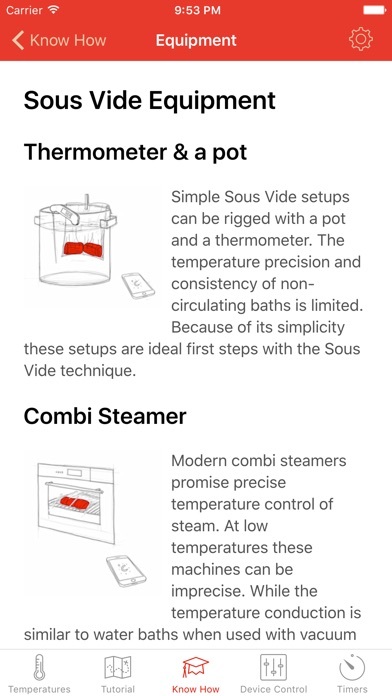 The app even connects to my anova Sous vide cooker with significantly less issues than Anova's own app! If I could make a suggestion it would be that the tutorials could be reorganized rather than just having 4 slides of information. This app is simple, effective, well organized, and just works. 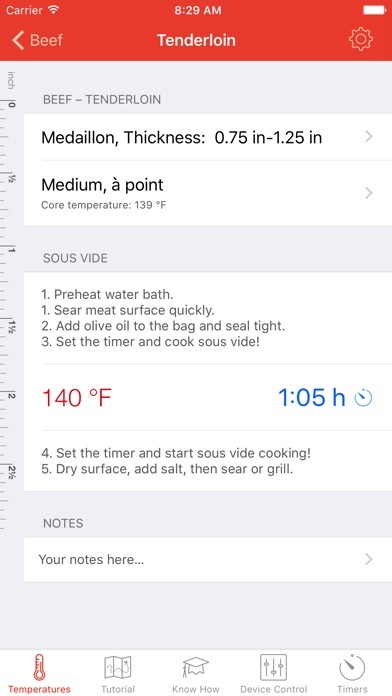 This app is a perfect companion to your Anova precision cooker or any other sous vide. 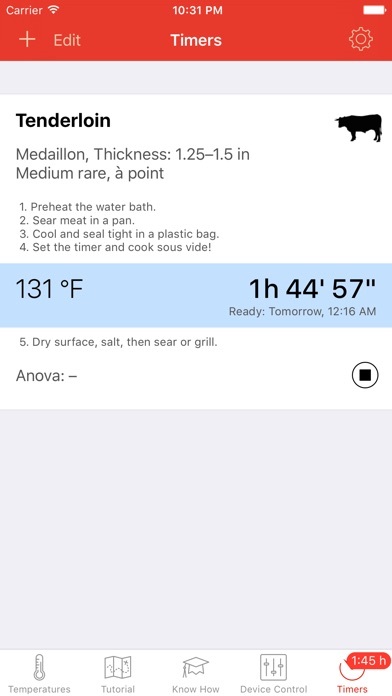 Simultaneously a quick reference and remote control for the Anova, a feature that I use surprisingly often, this app is a great way to jump-start a sous vide session while you focus on preparing the rest of the meal. People need more than cooking time, how about recipes... None of that in here. Really love this app. Quick, great times and temps. Hope it can work with Joule in the future, as chefsteps says that they will open up their sdk. Lovely work! Can connect to my ANOVA with their app just fine. This app does not pick it up when it scans. Currently, a total waste of $$$. The temperatures listed in Fahrenheit are incredibly inaccurate. Says egg in-shell pasteurization happenes at 87F when it's actually 135F. All the temp numbers are extremely low. Guessing it's due to some sort of Celsius to Fahrenheit miscalculation on the part of the developer. Hope they fix it quick before some one get sick/hurt. This is what the Anova app should have been! It's so straightforward with the meat choice, then size, then doneness you would want. 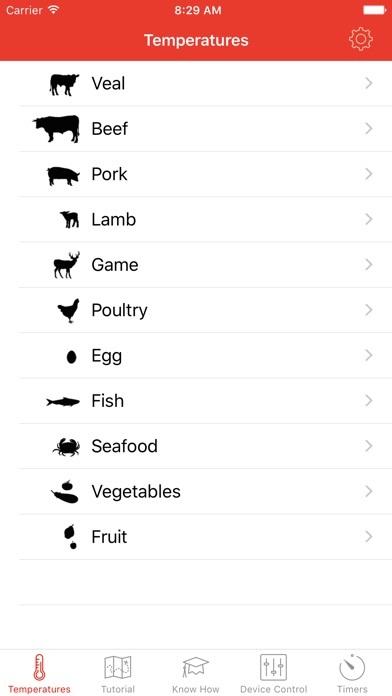 The other apps are specific recipes but this lets you customize your own to make the results you want. It costs less than a piece of meat you messed up by cooking it wrong! Not exactly sure what happened but initially the timer worked but for some reason the app disconnected from my iPad and had to reset it. I’ll give it another try.